(HAWKESBURY, ON) – On Wednesday evening March 30th, at 8:50pm, the female victim was walking back to her vehicle in the west parking lot at the Hawkesbury General Hospital when a male suspect attempted to steal bags from her. The victim was also carrying a purse and had her vehicle keys in hand. She quickly activated the panic button of her remote keys which made the suspect drop the bags and fled the scene empty handed. The suspect was seen getting into the passenger side of a 4-door vehicle waiting on Ghislain Street before taking off. The victim did not sustain any injuries or any loss. In the week of April 11th to April 18th, Hawkesbury Ontario Provincial Police (OPP) officers responded to 136 occurrences. One break and enter incident was reported. No assault incident was reported during that week. Six incidents of theft were reported. In the last week, officers investigated one impaired driving related incident. Out of these 136 occurrences, 17 concluded with charges. (CHAMPLAIN, ON) – The Hawkesbury Ontario Provincial Police (OPP) is investigating a theft of a flatbed trailer that occurred sometimes overnight between April 12th and April 13th at a business property situated on County Road 4 in Champlain Township. The investigation revealed that the culprit gained access to the property by forcing open the front gate, stealing a black 2007 Sure-Trac flatbed trailer, model ST7, valued at approximately $6500. If you have information about this theft, please contact Constable Melissa Pilon at the Hawkesbury OPP at 613-632-2729 or 1-888-310-1122. 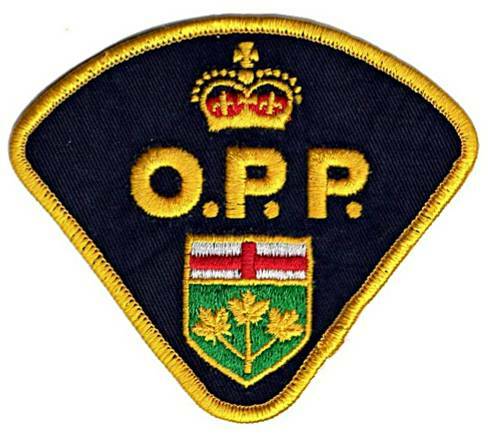 (CHAMPLAIN, ON) – On Wednesday April 13th, shortly before 3:00 pm, the Hawkesbury OPP Detachment responded to a single motor vehicle collision on Highway 34, south of Pattee Road in Champlain Township. The investigation revealed that a 2007 Freightliner semi-tractor trailer, driven by a 63-year-old male of Becancour Quebec, which was heading southbound on Highway 34, crossed the oncoming lane and left the roadway after a curve, entering the ditch and struck a Bell Pole before coming to final rest. Fortunately no one was injured. The 63-year-old driver was charged of Careless driving under the Highway Traffic Act. (HAWKESBURY, ON) – On Friday April 15th, at almost 6:40 pm, the Hawkesbury OPP was called to the Walmart store on Cameron Street in Hawkesbury for a shoplifting incident. Employees caught a female leaving the store with over $140 of unpaid groceries. Further investigation also revealed the female shoplifter had a warrant for her arrest for a previous shoplifting incident in Hawkesbury. She was later released and scheduled to appear at court on May 11th, 2016 in L’Orignal. (ALFRED-PLANTAGENET, ON) – Shortly after midnight on April 17th, at approximately 12:25 am, Hawkesbury OPP officers, Pascal David and Frank Landriault responded to a motor vehicle collision on Bolt Road in the Alfred-Plantagenet Township. The driver of a 2005 black Nissan 350Z was traveling on Bolt Road in Alfred when he struck an unoccupied vehicle parked on the shoulder. The driver did not sustain any injuries. Interaction with the male driver gave the officers reason to believe that he had operated his motor vehicle with blood alcohol content over 80 mgs. – 253(1)(b) Driving with More than 80 mgs of Alcohol in Blood. He was later released and scheduled to appear at court on May 18th, 2016 in L’Orignal.